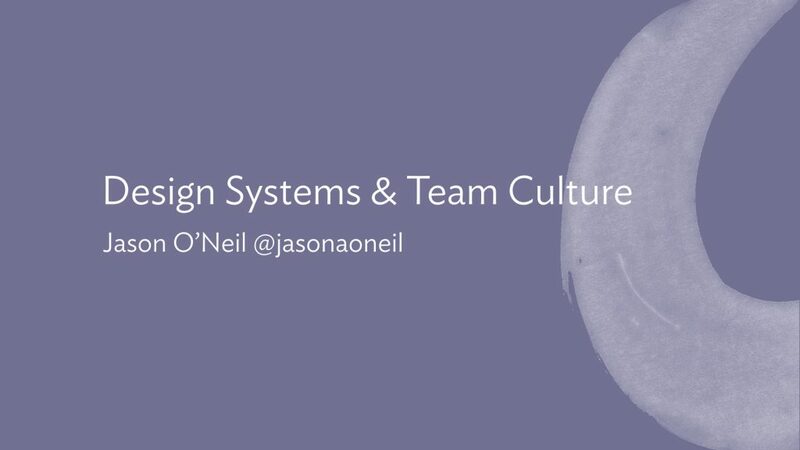 This week at the UX Perth meetup I shared this talk about the human side of building design systems – how your team culture affects the design system you are building, and how the design system can affect the team culture you are building. At Culture Amp, we operate on a “team of teams” model. 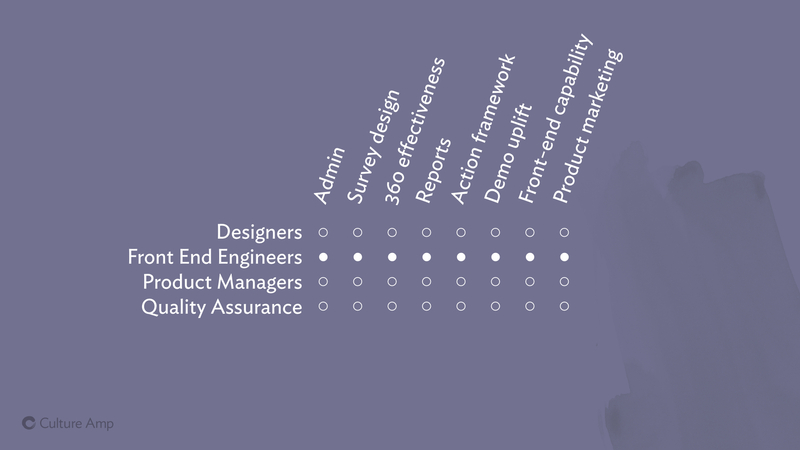 We currently have about 200 staff, with about half of those contributing to the product as engineers, designers, product managers, QAs etc. Each product feature has a team responsible for it, and this team is “cross-functional” – so rather than a single infrastructure team, each team should have its own infrastructure specialist. Rather than there being a single design team, each team should have a designer. The idea is that each team should be able to move to its own priorities without being blocked by other teams. But as you can imagine, this can lead to people being out of sync. Designers on different teams might be making simultaneous decisions about the styling of a button, and reach two different conclusions, resulting in two button styles. In other disciplines, like Front End Engineering, you have people from across different teams working on different products with different code-styles (and even different languages!) How do we make sure that people on different teams can produce work that is consistent, high quality, fast to build and easy to maintain? And then within a team, how can we make sure designers, engineers, product managers and everyone else is speaking the same language, and making decisions from the same framework? Can we avoid designers saying things like “Use Ideal Sans, size 12px, line height 18px, all caps, and maybe some tighter letter-spacing?” and instead say “Use the Label style”. Establishing sensible defaults, and giving names to them, enables your team members to talk to each other with less confusion and ambiguity – and that clear communication helps lead to less mistakes and faster work. It also helps product managers know which styles already exist and can be used, and which ones the team needs to invest in creating from scratch. Across the business, we want to align everyone, so that our product looks and feels consistent, no matter which team built it. And we want to speed up people in all roles on all teams, so that they can spend less effort recreating yet-another-button-component, and focus more on delivering real features that benefit our customers. This is where design systems really shine: they give a common language that designers, PMs and engineers can use to all be on the same page. They help bring consistency in fonts, colors, styles and components to people on different teams who don’t interact often. And they give us a platform to build common, re-usable designs that can be shared across teams, enabling all the teams to build things faster and with more consistency. So building a design system was the right call for us at Culture Amp. But how does that play out with the actual people, each with a specific role on a specific team? How does it affect our approach to work, and more importantly, to team work? How does the design system interplay with our team culture? At Culture Amp we spend a lot of time talking about our company values, because our aim is to be “Culture First“, to focus on having an amazing work culture, working and living according to a shared set of values, and to let achievement and success arise from that culture. How do these values impact our implementation of the design system? And how does our design system feed back into these values? Let’s take a look. 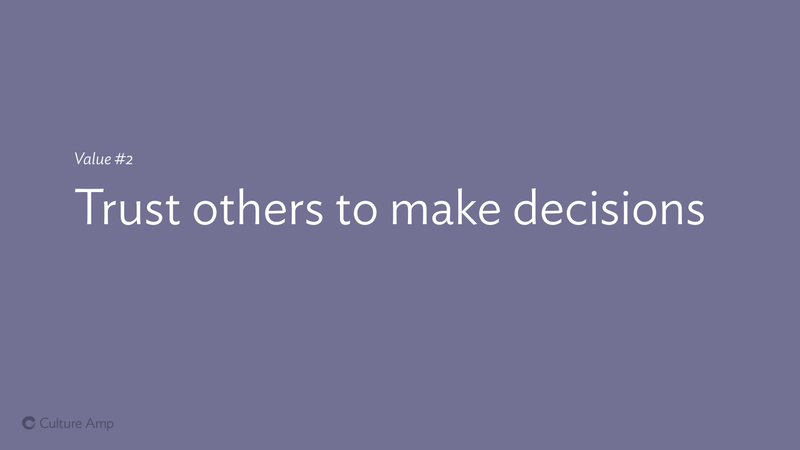 Trusting people to make decisions can be hard. There is a reason micro-managing is such a problem in so many workplaces. And when it comes to design systems, you often hear companies talk about introducing them precisely because they don’t trust people to make decisions. They don’t trust them to use the logo correctly, they don’t trust them to choose an appropriate header type style – so they codify the “correct” way in the style guide and make sure everyone follows it. 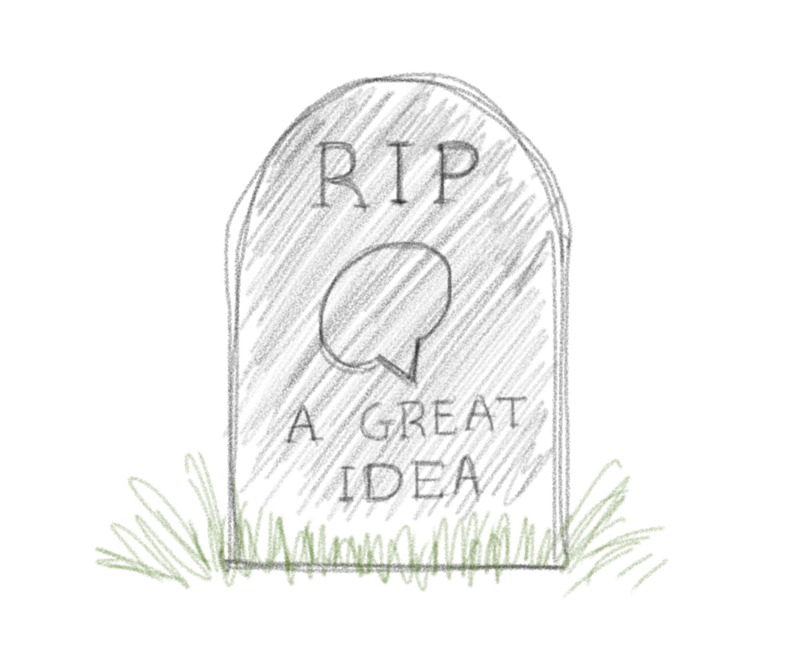 Dictatorial decision making doesn’t leave any space for creativity and innovation. I personally believe the most inventive things happen on the edge of a group – not in the center – and you don’t want to squash that by rigid enforcement of a system that takes away a team member’s ability to make a decision. But more importantly – if you remove all freedom from your team, limiting the ability of your designers to design, and of your engineers to engineer better components, never allowing them to build anything new and better – they’re going to resent it, they won’t enjoy their jobs, and you won’t see their best work – their talents will be wasted. So how do we balance the desire for consistency with the desire for freedom? Let’s take a look at some examples. We ask everyone to trust us and stick to the palette. Meanwhile we trust them to make good decisions with how to use that palette, and don’t try to micro-manage through design reviews. With our brand colors, we have a predefined palette of 3 primary colors (“Coral”, “Paper” and “Ink”), 6 secondary colors (“Ocean”, “Seedling”, “Wisteria”, “Yuzu”, “Lapis” and “Peach”) as well as a small number of tertiary special use colors. These base colors were decided on by designers from across the organisation coming together – it wasn’t an edict from on-high, it was a collaborative effort to unearth the color patterns already in use, and choose and standardise on those that most identified with our brand. From those colors, we tint them (add white) and shade them (add black) to come up with nearly 300 variations you can use and still be on brand. With defining this palette, the designers are asking us to trust them – for any text or button or border on the site, we should be able to use one of these colors. And trust is a two way street. In return, they can trust us engineers to make sensible choices within the palette. I know the system suggests we use “Ocean” blue for links, and I can choose the appropriate shade of Ocean depending on accessibility requirements, and make the decision myself, without needing to consult a designer. We trust them to define a palette, they trust us to use it wisely. We ask people to trust us and stick to these type styles wherever possible. We trust them if they say they need to deviate. We did a similar thing for type styles, defining a range of headers, paragraph styles, labels and more that could cover most of the usages on a page. (Click here to see our type styles). While I was giving this talk on Tuesday night I had Slack messages coming in from designers and product managers on one team talking to designers and product managers from our team – how much freedom would their team have to do what they needed for the visualisation they were designing – would they be free to explore or would they be limited to only a small palette of avialable styles? Again, it comes down to trust. Those building the design system need to trust teams to know when and how to use it, and to know when to step outside it and try something new. If you trust that they share the same goal of great design and consistent design, then you can trust them to make the right call about when to experiment outside of the system. The work this team does may well bubble back up into the design system and become a standard for other teams to share. 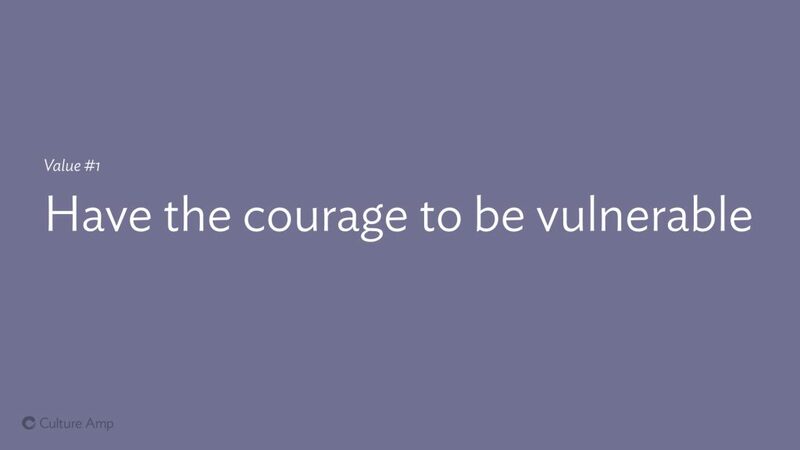 One of our other values is “Have the courage to be vulnerable”. (If you have not watched Brené Brown’s exceptional Ted Talk “The power of vulnerability”, you should do so now). One way this shows up in building a design system is fighting any tendancy towards perfectionism, which is common for many designers and engineers – we want it to be perfect before we share it with the world. We want it to be just right before other teams start using it. But sometimes sharing it early, even when you still aren’t proud of it yet, or are maybe even ashamed of how it looks or how it’s built, is still a good thing, and can help someone else, even in the early and rough state. We have a really great mock-up for our design system website with a very pretty way to demo components. But we have to be okay with sharing the ugly version so people can start using it now. This showed up with launching our design system website, www.cultureamp.design. Parts of it look nice, but no where near as nice as the mock ups. There are designs so beautiful and so on-brand that we really wanted to share them with the world. But perfect can be the enemy of good, and at the end of the day, we had to share this with out team rather than keep it a private secret. We got over our insecurity, and started sharing it, and people have found it useful, even if there’s so much we wish we could improve. Moving fast and not waiting for perfection means making mistakes, like me needing to make a breaking API change because of a spelling mistake. This has applied to the components we build as well as the website we use to showcase them. In the interest of moving faster and being less precious, I got excited and shipped a new dropdown component, including the ability to add a “seperator” to the menu. Not a “separator”. 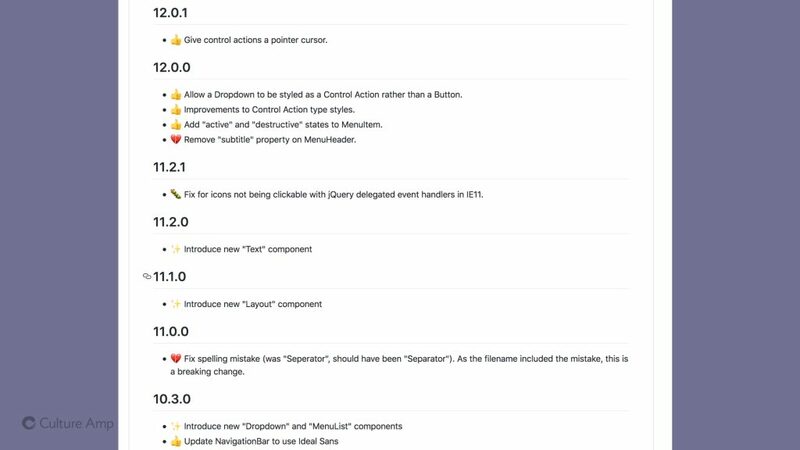 Yes I shipped a version of our design system with a spelling mistake, and fixing that was a breaking change, immortalised forever as a version bump in our CHANGELOG. Putting yourself out there isn’t only about sharing your work early. It’s also about opening up the possibility for them to criticise the work you’ve done. Sometimes asking for feedback gives you feedback you didn’t want to hear. We did this when our team, who are the main drivers of the design system, asked designers and front-end engineers from across the company for feedback on how we’re going. Often we talk about user experience and user centered design, but with design systems, we have two classes of users: the end users of our product, and our colleagues who use the design system to build the product. Taking the time to listen to this second group, our colleagues and team-mates, is crucial. 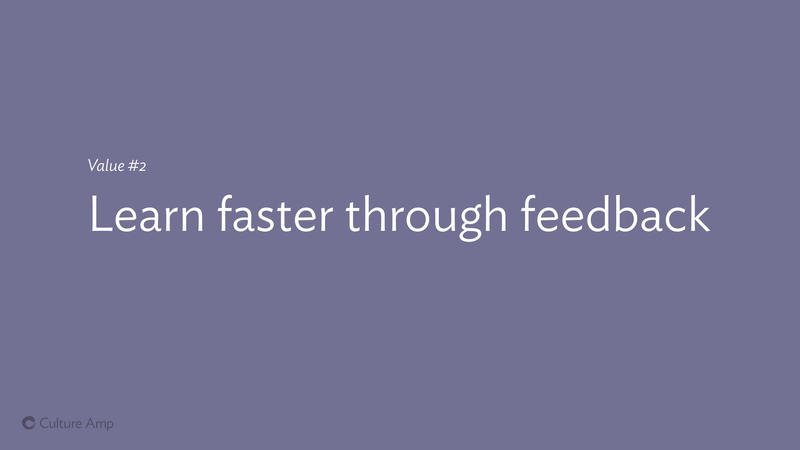 And it ties into one of our other company values: Learn faster through feedback. 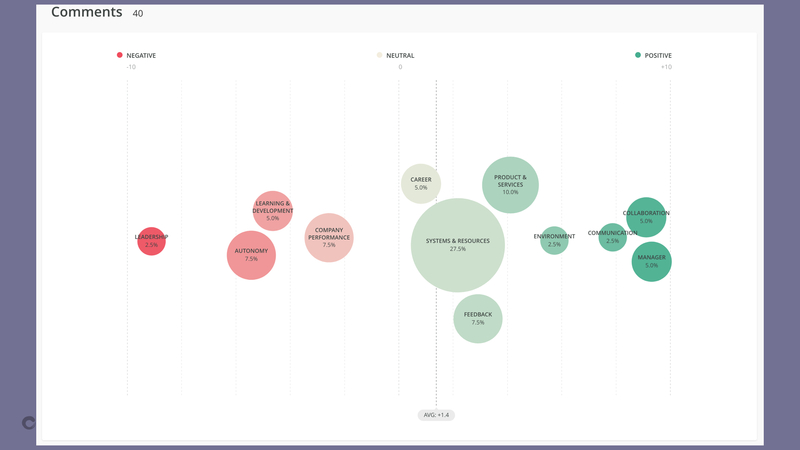 One key thing we learned through this survey was that we’d been over-investing in the base level styles (typography, color, icons) and underinvesting in the mid-level components (for example drop down menus, tabs, and select boxes). We spent all our time on Styles, but the feedback showed we would be more helpful if we built more ready-to-use components. Our team had been focusing on bringing consistency at the low level – changing typefaces and background colors and icons across the app, which was an enormous amount of effort on our part. But what would have helped the other teams more is if we built components that helped them deliver their designs faster. It might mean it would take longer to bring consistency to some of these fundamental styles, but it would mean that these teams are delivering valuable features to customers sooner. That message came through our survey, loud and clear. 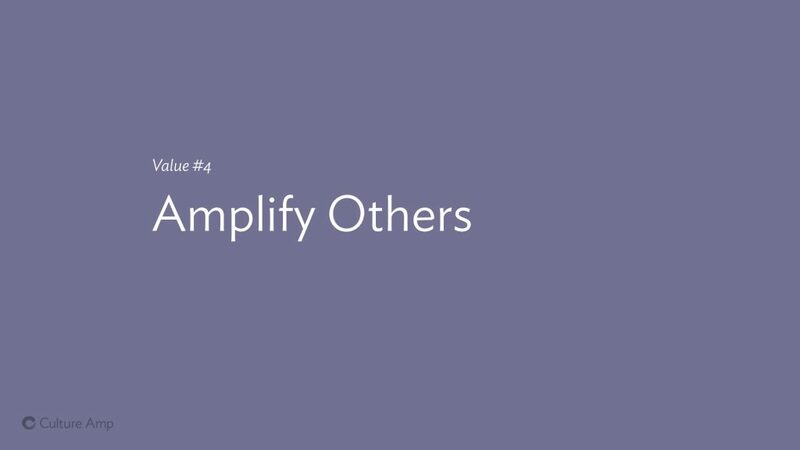 Amplifying others. That’s the reason we’re building a design system in the first place – it allows us to amplify each of the product teams in our company, allowing them to move faster, stay in sync, spend less time sweating the fine details – and deliver a higher quality and more consistent experience to our customers. That’s what it’s all about – and if we keep this in mind while we build out our system, it can help keep the work grounded, practical, and more likely to make an impact. It isn’t about having the prettiest showcase of components. It isn’t about the elegance of your solutions, or the way you ship new components to your teams. At the end of the day, it’s about the people in your teams, and how you can amplify them, so they can build better products, faster, and with less stress. And if amplifying your workmates does not motivate you, then you might have bigger team culture issues that a design system is not going to fix! Have any questions? Feedback? Other observations on how team culture and design systems interplay? I’d love to hear them! This is the blog post version of a talk I gave at the Perth Web Accessibility Conference. 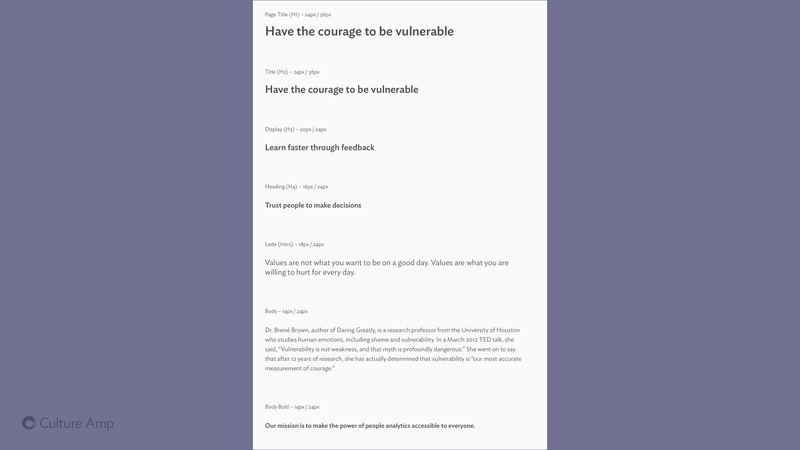 I also repeated the talk at a “BrownBag” team lunch at Culture Amp, which you can watch here, or you can read the blog-post version below. I’ve got a live example (open source! try it yourself!) at the end of the post. 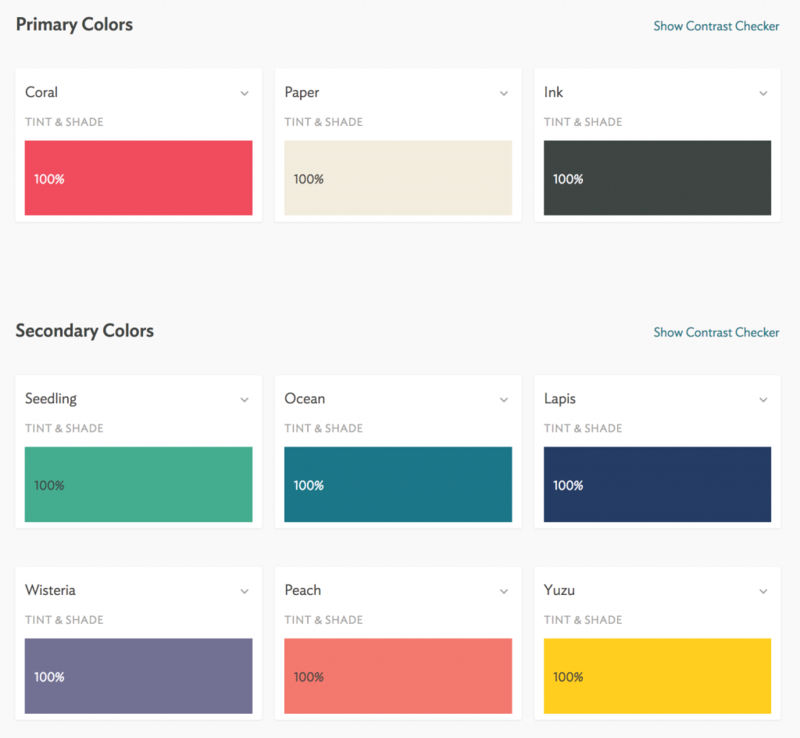 How a design system can encourage accessible, on-brand colors from Jason O’Neil on Vimeo. On the front-end team at Culture Amp, we’ve been working on documenting and demonstrating the way we think about design, with a design system – a style-guide and matching component library for our designers and developers to use to make our app more consistently good looking, and more consistently accessible. Me and my brother are both red-green color blind. Most of the time color-blindness isn’t a big deal and compared to other physical limitations, it doesn’t usually make life difficult in any significant way. 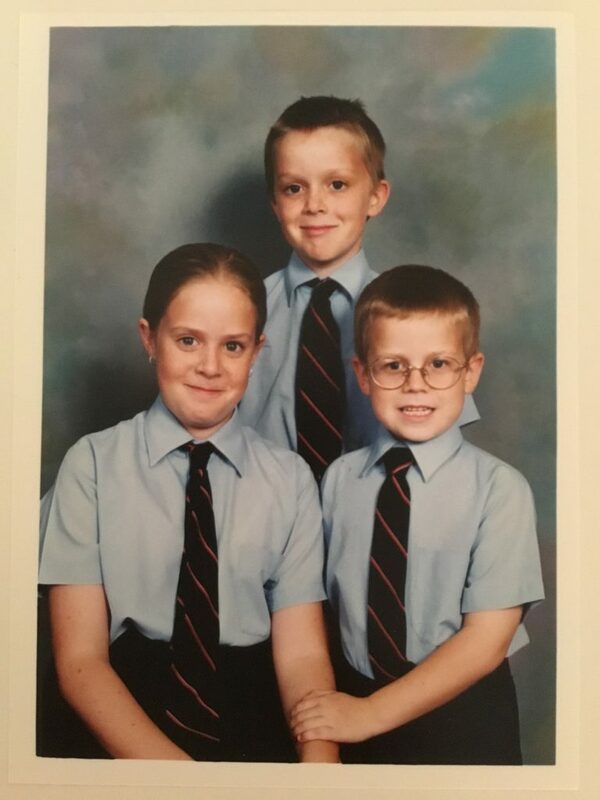 But growing up, my brother Aaron really wanted to be a pilot. Preferably an air-force pilot, like in Top Gun. But for a generation that grew up with every TV show telling us “you can be anything if you try hard enough”, there was a footnote: anything except a pilot. He couldn’t be a pilot, because he was red / green color blind. The air-force won’t even consider recruiting you for that track. They’ll write you off before your old enough to join the air cadets. Why? 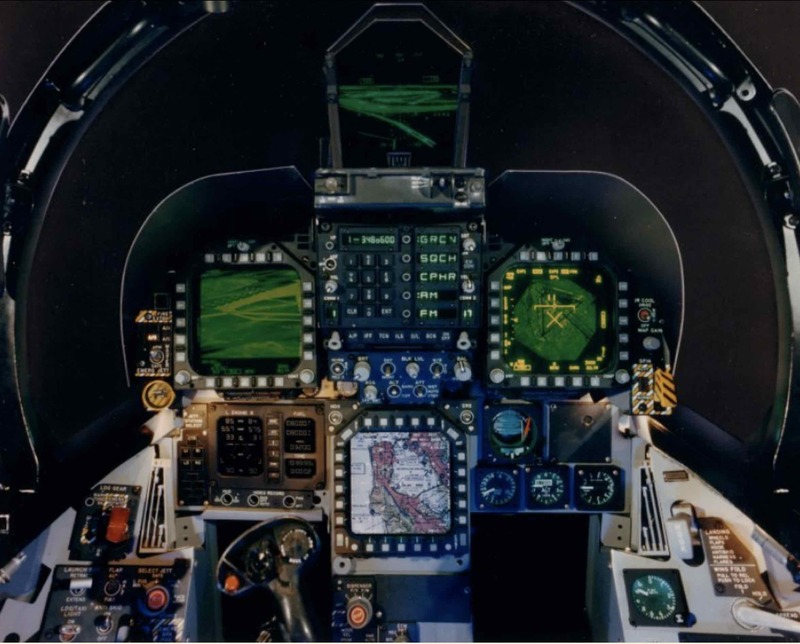 Because the engineers who designed the cockpits half a century ago made it so that the only way you could tell if something changed from safe to dangerous was if an LED changed from green to red. So people with red-green color-blindness were out, and my brother was told he couldn’t be a pilot. Cockpits have lots of small controls, and some of them rely purely on red/green color distinction to be read accurately. Now, becoming an air-force pilot is super-competitive, and he might not have made it anyway, but to have your dream crushed at the age of 10, because an engineer built a thing without thinking about the 8% of males who are red/green color blind, is pretty heartbreaking. Luckily, as web professionals we’ve got a chance to create a digital world that is accessible to more people, and is a more pleasant experience, than much of the real world. We just have to make sure it’s something designers and developers are thinking about, and something they care about. One of the big lessons we’ve learned in the web industry over the last few years is that if you want your site, product or service to leave a lasting impression, it’s not enough to do something new and shiny and different. What’s important to a lasting impression is consistency: consistency builds trust, and inconsistency leads your users into confusion and frustration and disappointment. It’s true of your branding, it’s true of your language and tone, it’s true of your information architecture, and it’s especially true of your commitment to creating accessible products and services. For example if your landing page is screen-reader friendly but your product is not, you’re going to leave screen-reader users disappointed. Consistency matters. But as a company grow, consistency gets harder. It’s easy to have a consistent design when you have a landing page and a contact form. It’s harder when you have a team of 100 people contributing to a complex product. The Culture Amp team has experienced those growing pains – we’ve grown from 20 employees three years ago to over 200 today, almost half of them contributing to the product – and it’s easy to lose consistency as users navigate from page to page and product to product. The UI built by one team might feel different and act differently to the UI built by another team. So we started looking into design systems. 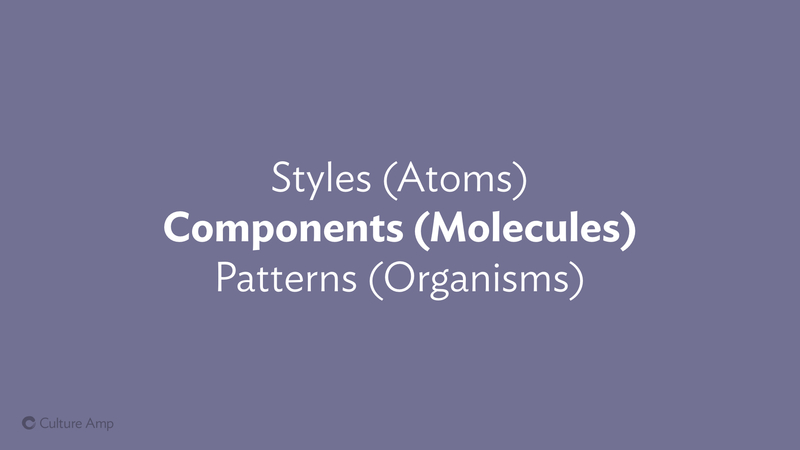 Design systems are a great way to bring consistency. By documenting the way we make design decisions, and demonstrating how they work in practice, we can help our whole team come together and make a product that looks and feels consistent – and that consistency is the key to a great experience for our users. As we codify our design thinking we are lifting the consistency of our app – not just of our branding and visual aesthetics, but of our approach to building an accessible product. So we’re a start-up, with three overlapping product offerings build across half a dozen teams. And we want to make that consistent. One way to do that would be to have a design dictator who approves all decisions about color usage, making sure they’re on-brand and meet the WCAG contrast guidelines. But one of our company values is to “Trust people to make decisions”, and that means trusting the designers and front-end engineers in each team to make the right call when it comes to picking colors for the screens they are in. How do we let them make the call, but still ensure consistency? 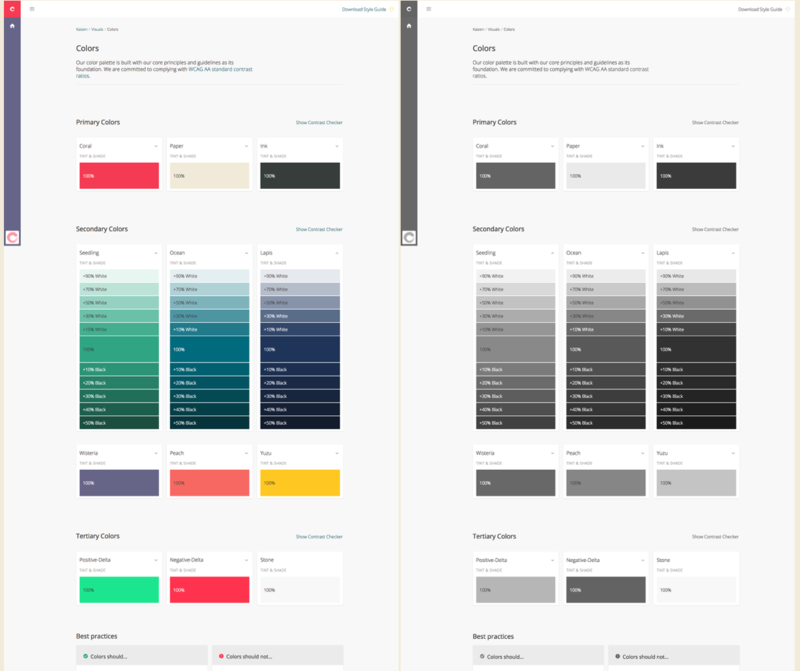 Well, as a group our designers worked together to define the palette they would agree to use. They consisted of three primary colors (Coral, Paper and Ink), six secondary colors (Seedling, Ocean, Lapis, Wisteria, Peach, Yuzu), as well as Stone for our standard background. Every color on the page should be one of the colors on the palette. But what about when you need it slightly lighter or slightly darker? When you need more contrast, or want just a slight variation? We allow designers to use a color that is derived from the original palette, but with a tint (white mixed in) or a shade (black mixed in). (Note: the SASS code is even easier. 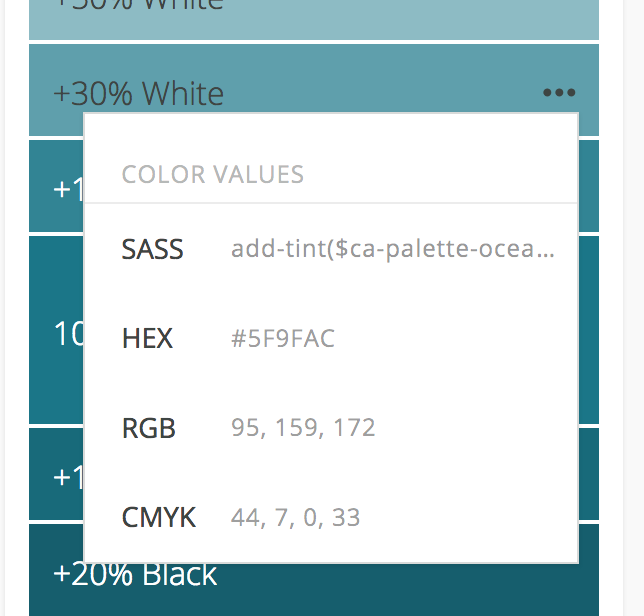 You can use the lighten() or darken() functions, or the custom mix() function if you’d prefer to tint or shade with a custom color. All three of these functions are built in. So now we have three primary colours, and six secondary colours, and computationally generated tints and shades for each in 10% increments, resulting in 171 colour variations, which all fit with our brand. Woo! This range gives enough freedom and variety to meet individual teams needs on a page-by-page basis, while still bringing consistency. 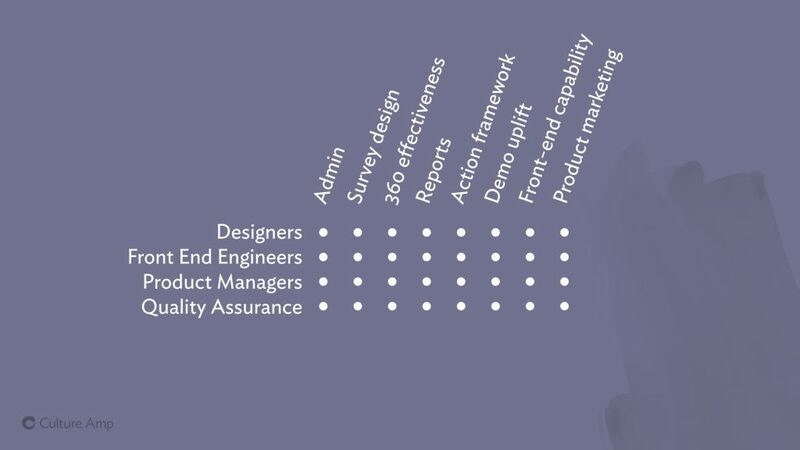 Designers are free to move within this system and make the right decision for their team. So what about color contrast? Currently Culture Amp has committed to complying with WCAG AA standard contrast ratios. This means the contrast between the text color and the background color must be at least 4.5 for small text, and at least 3.0 for large text. (If we wanted to go for WCAG AAA standard contrast ratios, those values 7.0 and 4.5 respectively). How do we get the designers and developers on our team thinking about this from the very beginning of their designs? We could audit after the designs after-the-fact, but this would be frustrating for designers who have to revisit their design and re-do their work. Making people re-do their work is not a way to win friends and advocates for your color contrast cause. We can programmatically check contrast, and show at a glance which colors support white text or black text at small and large sizes. Now our designers can come to this page, explore every color within our palette, and at a glance know which of these colors will be able to display text with sufficient contrast to be considered accessible. So we’ve made a great page where designers can explore our palette colors, and at a glance gain an understanding of which combinations will have sufficient contrast. But by this point everyone in the software industry should hopefully know that “if you build it, they will come” is simply not true. If you want people to engage with your design system – or with anything you’ve built – you need to offer something of value, you need to solve a real problem for them. So how do we get the designers and developers across our different teams to care enough to come look at this page? We need to offer them some convenience or solve a problem they have. What are the most common things our team needs help with when thinking about our brand colors? 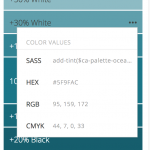 They usually want to explore the range of the palette, and then find a HEX code or a SASS variable to start use that color. 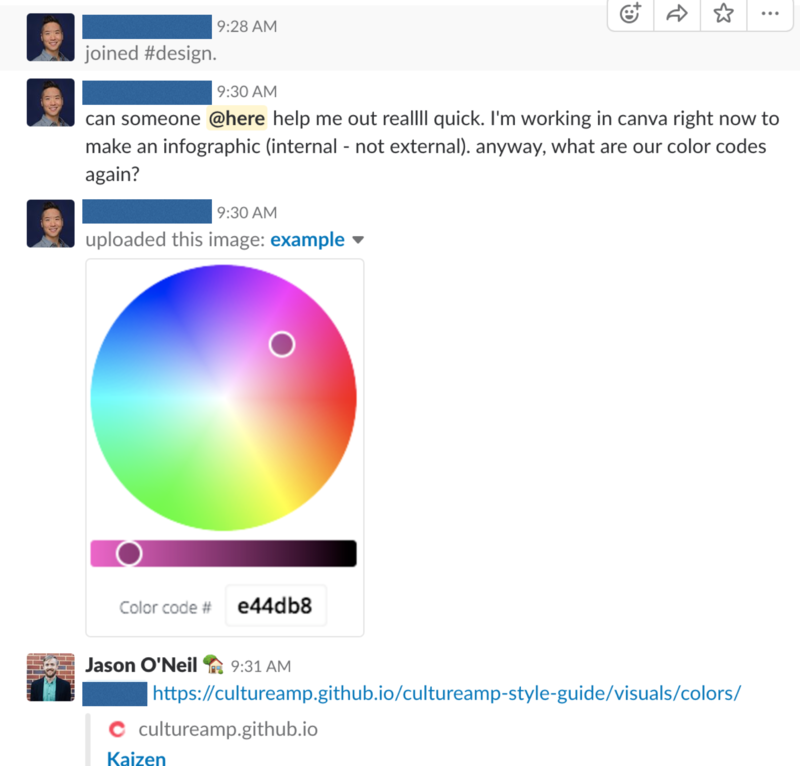 People on the team need to know what the brand colors are. Now we can send them to this page, and they’ll see the accessibility info as a bonus. 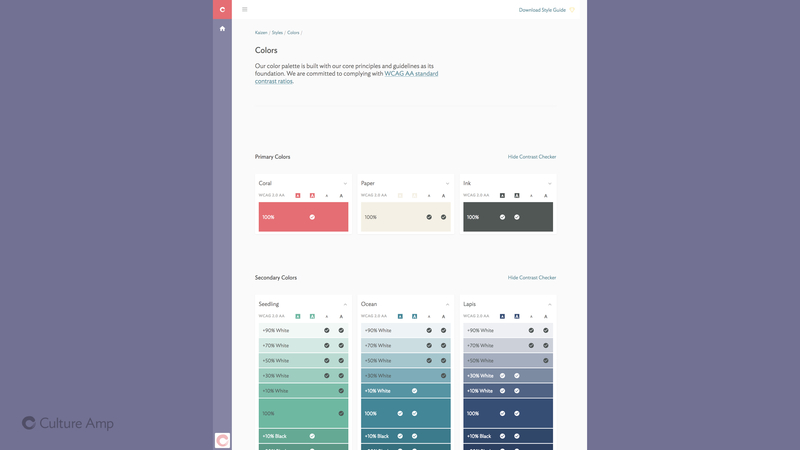 So we tried to make our design system colors page as helpful as possible, providing a way to explore the colors, see the shades and tints, see what colored text it best pairs with, and copy color values to your clipboard. 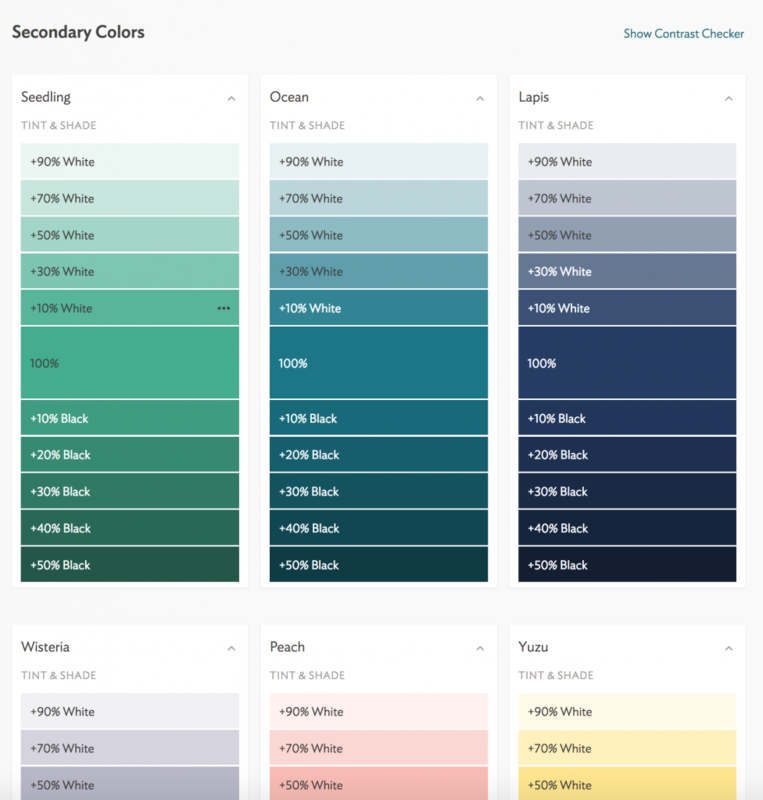 Next time someone needs to reference our brand colors, this feature set means they’ll come to our design system page first, because they know they can explore the colors, and get the correct codes in whatever format they need. We’re solving a problem for them, and, while we have their attention, using the opportunity to inform get them thinking about color contrast and accessibility. So we’re just getting started on our journey of using design systems to improve the consistency of our design and our accessibility. But color contrast is a great place to start, and it’s already making me think about how we can use the design system project to put accessibility front-and-center in the design culture of our team. 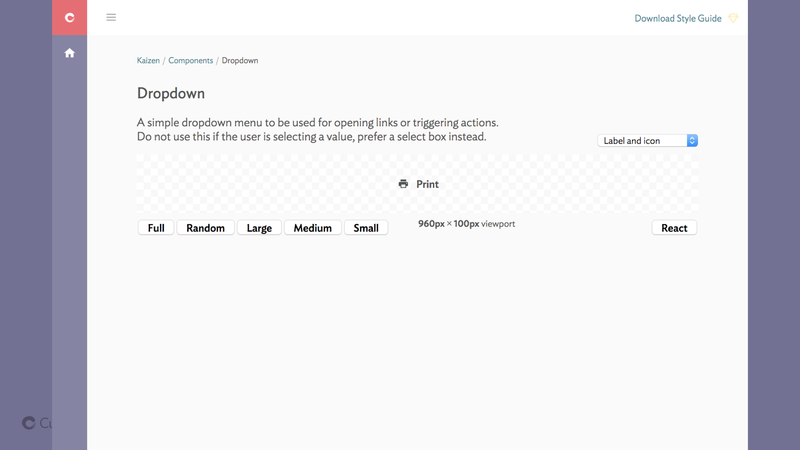 The web’s most popular component library, Bootstrap, solves a problem for designers and developers by allowing fast prototyping of common website elements, but by offering components with accessibility concerns baked in, and by encouraging good accessibility practice in their documentation, they’ve used their design system to lift the level of accessibility on millions of websites. 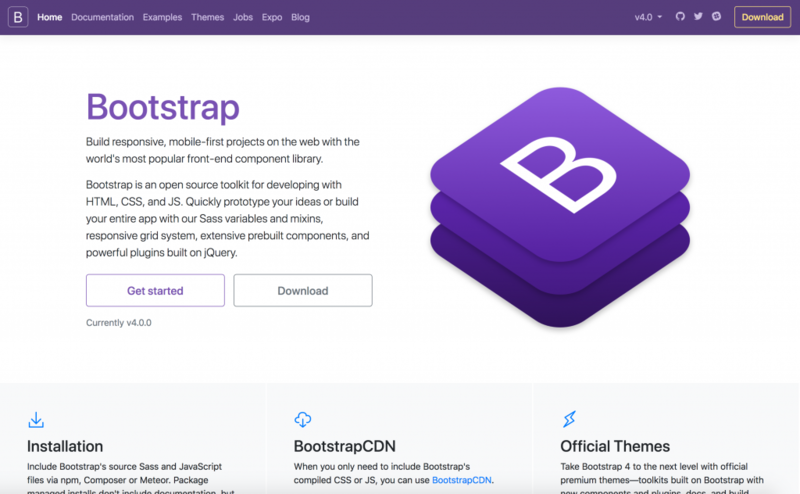 Bootstrap was one of the first open source component libraries, and works hard in its documentation to encourage accessible use of its components. If you have other ideas on how design systems could be used to bake accessibility into your team culture and product design, I’d love to hear about it! 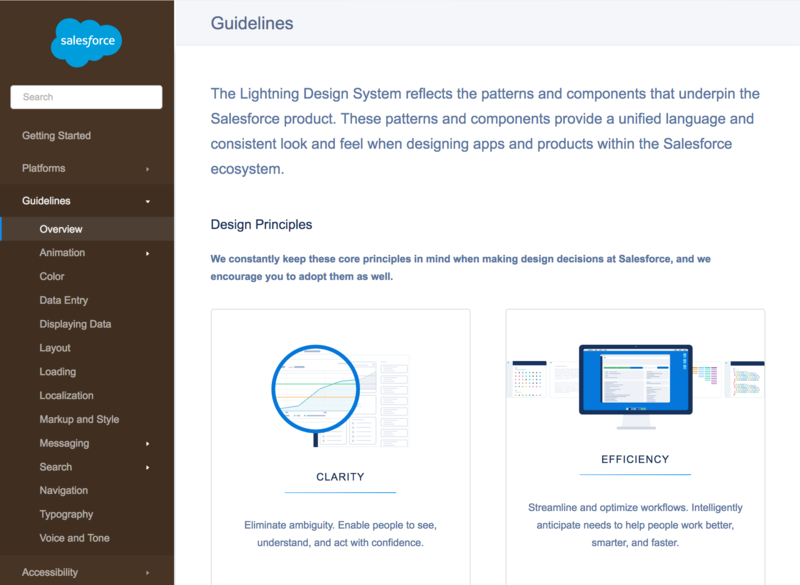 It’s an exciting project to be part of, raising the design consistency and the accessibility consistency across the various products offered at Culture Amp. If you’d like to join us, Culture Amp is hiring front end developers – either in Melbourne, or remote within Australia. It’s an amazing place to work, I’d encourage you to apply. See the Culture Amp Careers page for more info. I’ve been using Haxe for a long while, and for about 2-3 years I was using Haxe full time, building web applications in Haxe, so I know how important managing your dependencies is, and I know how painful it was with Haxelib, especially if you had a lot of dependencies, a lot of projects, or needed to collaborate with people on different computers. Haxelib is okay when you’re just installing one or two libraries, and they’re libraries with stable releases where you don’t change versions often, and if you don’t need to come back to your code after long gaps in time. Basically, haxelib is fine if you’re doing weekend hackathons or contests like Ludum Dare where your projects probably aren’t too complex, you’re not collaborating with too many other people, you’re using existing frameworks, and you don’t have to worry about if it will still work fine in 4 months time. Otherwise, it can be quite painful. I tried to help with Haxelib at one point in time (I still am in the top 4 contributors on Github, most of that was back in 2013 though), but it proved pretty unruley – even skilled developers were afraid of changing too much or refactoring in a way that might break things for thousands of developers. And some changes were impossible to make without first changing the Haxe compiler. So it’s largely sat in the “too hard” basket and has not had many meaningful improvement since it first became it’s own project in 2013. Since mid 2016, I have been working in other jobs where I don’t use Haxe full time, instead spending more time with JS: using tools like NPM, Yarn, Webpack. And they’re certainly not perfect when it comes to dependency management, but there are a few things that they do right (Yarn especially). Part 2: What the JS ecosystem gets right. In Node JS land (and eventually normal JS land), there was a package manager called NPM – Node Package Manager. It had a registry of packages you could install. It would also let you install a package from Github or somewhere else. The basic things. Used a standard format (package.json) to describe which packages a project uses. NodeJS didn’t care if you used NPM or not. As long as your stuff was in node_modules, it would be happy. Why was this a good move? Because it allowed some talented people to build a competitor to NPM, called Yarn. By having simple expectations, you can have two competing package managers, and innovation can happen. Woo! Reproducible builds. While package.json has information about which version I want (say, React 16. * or above), Yarn would keep information in a file called yarn.lock which says exactly which version I ended up using (say, React 16.0.1). This was when my friend joins the project and tries to install things she won’t accidentally end up on a newer or older version than me – Yarn makes sure we’re all using exactly the same version, and all of our dependencies and sub-dependencies are also exactly the same. A global cache. When Yarn came out, it was several times faster than NPM on our project because it kept a cache of dependencies and was able to resolve them quickly when switching between projects and branches. NPM has caught up now – but that’s the benefit of competition! In 2015 I remember chatting to my friend Juraj Kirchheim (also one of the key contributors who just kind of gave up) about what an alternative might be, and he described something that sounded great, a futuristic utopian alternative to haxelib. 2 years later, and it turns out, it’s been built! And it’s called “lix”. (What’s with the name? I’m guessing it is short for “LIbraries in haXe”, a leftover from when every Haxe project needed an X in it for cool-ness, and Haxe was spelt as haXe. That, and the lix.pm domain name must have been available). Haxe Shim intercepts calls to Haxe and does some magic. The Haxe compiler on it’s own explicitly calls haxelib, so you literally can’t replace haxelib without intercepting all calls to the compiler and getting rid of -lib arguments. So haxeshim is a shim that intercepts Haxe calls and sorts out -lib arguments so that haxelib is never needed. As a bonus, it also supports switching to the right version of Haxe for the current project. But for that, we also need “switchx”. SwitchX lets you pick the Haxe version you need for your project, and automatically switches Haxe versions for whatever project you’re in. If you change between project A, on Haxe 3.4.3, and project B, in a different folder and running Haxe 4, it will always use the correct one. When you start a project you run switchx scope create. This makes a .haxerc file which says that this folder is a specific project, or “scope”, and should use the Haxe version defined in the .haxerc file. How do you change the version? You run switchx use latestor switchx use stable or switchx use nightly or switchx use 3.4.3 etc. It lets you instantly switch between different versions, and for the correct version to always be used while you’re in your project folder. Lix is a package manager that you use to install packages. It is made to work with Haxe Shim, and creates a “haxe_libraries” folder, with a new hxml file for each dependency you install. It’s super fast because it uses a global cache (like yarn) and it makes sure you always have the correct version installed (like yarn). It supports installing dependencies from Haxelib, Github, Gitlab or HTTP (zip file). Anytime you update or change a dependency, one of the haxe_libraries/*.hxml files will be updated, you commit this change to Git, and it will update for all of your coworkers as well. Magic. These tools are (for now) built on top of NodeJS, so you can install them with NPM or Yarn. # Install all 3 tools and make their commands available. # Use the latest stable version of Haxe in this project. Part 4: What lix can do that haxelib cannot do (well). Be certain that I always have the exact right version installed, even if the project is being set up on someone else’s machine. Even if I pulled from a custom branch, using something like lix install github:haxetink/tink_web#pure (install the latest version of tink_web from the “pure” branch), when I run this on a different machine, it will use not only the same branch, but the exact same commit that it used on my machine, so we will be compiling the exact same code. Easily get up and running on a machine where they don’t even have haxe installed. I tried this today – took a project on Linux, and set up its dependencies in Lix. It used a combination of Haxelib, Github, Gitlab, and custom branches. It was a nightmare with Haxelib. I also added haxeshim, switchx and lix.pm as “devDependencies” so they would be installed locally when I ran yarn intall. I opened a Windows machine that had Git installed, but not haxe, cloned the repo, and yarn install. It installed all of the yarn dependencies, including haxeshim, switchx, and lix, and then running lix download installed all of the correct “haxe_libraries”, and then everything compiled. Amazing! Know if I’ve changed a dependency Today I was working on a change for haxe-react. In the past I would have used haxelib dev react /my/path/to/react-fork/. Now I edit haxe_libraries/react.hxml and change the class path to point to the folder my fork lives in. The great thing about doing this is, Git notices that I’ve changed it. And so when I go to commit the work on my project, git lets me know I’ve got a change to “react.hxml”, I’ve changed that dependency. In this case, I knew what to do: push my fork to Github, and then run lix install gh:jasononeil/haxe-react#react16 to get Lix to properly register my fork in a way that will work with my project going forward. I then commit the change, and people who use my project will get the up-to-date fork. Start a competing package manager The great thing about all of this, is that “lix” has some great features, but if I want to write better ones, I can. Because of the way “haxeshim” just expects dependencies to haxe a “haxe_libraries/*.hxml” file, I could write my own package manager, that does things in my own way, and just places the right hxml file in the right place, and I’m good to go. This makes it possible to have multiple, competing package managers. Or even multiple, co-operating package managers. So, I think Lix has learnt from a lot of what has gone “right” in the NodeJS ecosystem, and built a great tool for the Haxe ecosystem. I love it, and will definitely be using it in my Haxe projects going forward. The question is, do we really need “haxeshim” and “switchx” and other such tools just in order to have a competing package manager? For now sadly, because of the way haxe and haxelibare tied at the hip, you do need a hack like this. But there’s a discussion to change that. (See here and here). Feel free to have a look and contribute to the discussion. For now though – if you don’t mind installing haxeshim and switchx, there is a very good solution for managing your haxelibs and dependencies in a reliable, consistent, but still flexible way. And it’s called Lix. Once you have more than one project you’re building in Haxe, you tend to run into situations where you use different versions of dependencies. Often you can get away with using the latest version on every project, but sometimes there are compatibility breaks, and you need different projects to use different versions. Set haxelib to use that folder (and when I switch to a different project, I’ll use a different local folder). Install all the dependencies for this project. Doing this means that each project can have it’s own dependencies, and upgrading a library in one project doesn’t break the compile on another project. Hopefully that helps someone else, and hopefully the built in support comes soon! `AcceptEither`, a way to accept either one type or another, without resorting to “Dynamic”, and still have the compiler type-check everything and make sure you correctly handle every situation. The next step would be having Accept2Types, Accept3Types etc, and have a macro automatically build the code for whichever option you ask for. I just posted a quick gist to the Haxe mailing list showing how one way that abstracts work. They’re a great way to wrap a native API object (in this case, js.html.AnchorElement) without having to create a new wrapper object every single time. Which means they’re great for performance, the end result code looks clean, and thanks to some of the other abstract magic (implicit casts, operator overloading etc) there is a lot of cool things you can do. I just sent an email abuse report to MailChimp, documenting the unsolicited emails I have been receiving from the Australian Labor party. I understand that one of their members may have accidentally entered the wrong email address once, but it is unfair that they have subscribed me to 8 separate email lists so far, and I have to take the time to unsubscribe from each one – when I never subscribed in the first place. This is illegal under the SPAM ACT 2003. In Australia we have 2 main political parties, one of them being Labor. They’ve recently been voting for a new leader. I’m not a member of the party, but I’ve received an email from Labor people almost every week for the last month – all from different lists, and I have unsubscribed every single time, choosing the “I never subscribed” option. As you can see, the Australian Labor party is creating many different lists, and is subscribing my email address to each of them without my permission. I am assuming another Jason O’Neil entered an incorrect email address (this happens often), but as it stands I can only assume the Labor party is importing a bulk list of email addresses into MailChimp, and while I can unsubscribe from each individual mailing list, they will just create new lists and re-import my address. Unsolicited email is illegal in Australia under the SPAM ACT 2003. I have attempted to contact them but was unable to resolve the issue, and I have received multiple emails since then. – Can you contact the owners of these lists and remind them of their responsibilities under law and under your terms and conditions? – Is there a way to prevent my address from being imported into new lists during a bulk import? I struck up a conversation with him, and he casually mentioned that he was having trouble adjusting to Columbia, due to his “previous situation.” So I asked him to elaborate. A while ago I posted about neko.web.cacheModule, a way to make your site run dramatically faster on mod_neko or mod_tora. After spending some time making ufront compatible with this mode of running, I was excited to deploy my app to our schools with the increased performance. I deployed, ran some tests, seemed happy, went home and slept well. And woke up the next morning to a bunch of 501 errors. The error message was coming from the MySQL connection: “Failed to send packet”. At first I just disabled caching, got everyone back online, and then went about trying to isolate the issue. It took a while before I could reproduce it and pinpoint it. I figured it was to do with my DB connection staying open between requests, thanks to the new module caching. A google search showed only one Haxe related result – someone on IRC that mentioned when they sent too many SQL queries it sometimes bombed out with this error message. Perhaps leaving it open eventually overran some buffer and caused it to stop working? Turns out this was not the case, I used `ab` (Apache Benchmark tool) to query a page 100,000 times and still didn’t see the error. Eventually I realised it was to do with the MySQL Server dropping the connection after a period of inactivity. The `wait_timeout` variable was set to 28800 by default: so after 8 hours of inactivity. So long enough that I didn’t notice it the night before, but short enough that the timeout occured overnight while all the staff were at home or asleep… So the MySQL server dropped the connection, and my Haxe code did not know to reconnect it. Whoops. I looked at Nicolas’s hxwiki source code, which runs the current Haxe site for some inspiration on the proper way to approach this for `neko.Web.cacheModule`. His solution: use http://api.haxe.org/sys/db/Transaction.html#main. By the looks of it, this will wrap your entire request in an SQL transaction, and should an error be thrown, it will rollback the transaction. Beyond that, it will close the DB connection after each request. So we have a unique DB connection for each request, and close it as soon as the request is done. My token one day a week I continued on my Node-Webkit project. This time I made externs for Kue (externs, which appear to be working) and FFMpeg (externs, not functional just yet). Still enjoying working with Node-Webkit, and with the Node-API library especially. Sad I didn’t get to make more progress on it this week. Make tracing / logging work reliably between multiple requests. After enabling neko.Web.cacheModule(), I began to find areas where Ufront was not very multiple-request-friendly. These would have surfaced later with a port to Client JS or Node JS, but it’s good to find them now.One problem was that our tracing and logging modules were behaving as if there was only one request at a time. This could result in a trace message for one request ending up being output to somebody else’s request, which is obviously bad. The problem is a tricky one, as trace() always translates to haxe.Log.trace(), and you with Ufront’s multiple-request-at-a-time design, you can’t know which request is the current one from a static method. If I think of a clever way to do it, possibly involving cookies and sessions, then I might include a HttpContext.getCurrentContext() static method. This would probably have to be implemented separately for each supported platform. The solution for now, however, was to not keep track of log messages in the TraceModule, but in the HttpContext. Then on the onLogRequest event, the trace modules get access to the log messages for the current context, and can output them to the browser, to a file, or whichever they choose. The downside is that you have to use httpContext.ufTrace() rather than trace(). I added a shortcut for this in both ufront.web.Controller and ufront.remoting.RemotingApiClass, so that in your controllers or APIs you can call uftrace() and it will be associated with the current request. There is also ufLog, ufWarn and ufError. I also made RemotingModule work similarly with tracing and logging – so logs go to both the log file and the remoting call to the browser. Fix logging in ErrorModule. One of the things that made debugging the new ufront really hard was that when there was an Error, the ErrorModule displayed, but the trace messages did not get sent to the browser or the log file. I did a bit of code cleanup and got this working now. Fixed File Sessions / EasyAuth. Once able to get my traces and logs working more consistently, I was able to debug and fix the remaining issues in FileSession, so now EasyAuth is working reliably, which is great. Added Login / Logout for UF-Admin. With UF-Admin, I added a login screen and logout, that works with EasyAuth for now. I guess I will make it pluggable later… For now though it means you can set up a simple website, not worry about auth for the front end, but have the backend password protected. If you use EasyAuth for your website / app, the same session will work on the ufadmin page. Created uf-content for app-generated files. I moved all app-generated files (sessions, logs, temp files etc) into a folder called “uf-content”. Then I made this configurable, and relative to httpContext.request.scriptDirectory. You can configure it by changing the contentDirectory option in your UfrontConfiguration. This will make it easier when deploying, we can have instructions to make that single directory writeable but not accessible via the web, and then everything that requires FileSystem access can work reliably from there. Pushed new versions of the libraries. Now that the basics are working, I pushed new versions of the libraries to Haxelib. They are marked as ufront-* with version 1.0.0-beta.1. From here it will be easy to update them individually and move towards a final release. Demo Blog App. To demonstrate the basics of how it works, and a kind of “best practices” for project structure, I created a demo app, and thought I would start with a blog. I started, and the basic setup is there, including the config structure and each of the controller actions, and the “ufadmin” integration. But it’s not working just yet, needs more work. Identified Hair website. I have a website for a friend’s small business that I’ve been procrastinating working on for a long time. On Saturday I finally got started on it, and set up the basic project and routes in Ufront. In about 4 hours I managed to get the project set up, all the controllers / routes working, all the content in place and a basic responsive design with CSS positioning working. All the data is either HTML, Markdown or Database Models (which get inserted into views). Once I’ve got their branding/graphics included, I’ll use ufront to provide a basic way to change data in their database. And then if they’re lucky, I might look at doing some Facebook integration to show their photo galleries on the site. Every week as part of my work and as part of my free time I get to work on Haxe code, and a lot of that is contributing to libraries, code, blog posts etc. Yesterday was one of those frustrating days where I told someone I’d finish a demo ufront app and show them how it works, but I just ran into problem after problem and didn’t get it done, and was feeling pretty crap about it. After chatting it out I looked back at my week and realised: I have done alot. So I thought I should start keeping a log of what I’ve been working on – mostly for my own sake, so I can be encouraged by the progress I have made, even if I haven’t finished stuff yet. But also in case anything I’m working on sparks interest or discussion – it’s cool to have people know what I’m up to. So I’d like to start a weekly log. It may be one of those things I do once and never again, or it may be something I make regular: but there’s no harm in doing it once. Node Webkit: On Monday’s I work at Vose Seminary, a tertiary college, and I help them get their online / distance education stuff going. Editing videos, setting up online Learning Management Systems etc. I have a bunch of command line utils that make the video editing / exporting / transcoding / uploading process easier, but I want to get these into graphics so other staff can use it. Originally I was thinking of using OpenFL / StablexUI. I’m far more comfortable with the JS / Browser API than the Flash API however, and so Node-Webkit looked appealing. On Monday I made my first Haxe-NodeJS project in over a year, using Clement’s new Node-API repo. It’s beautiful to work with, and within an hour and a half I had written some externs and had my first “hello-world” Node-Webkit app. I’ll be working on it again this coming Monday. neko.Web.cacheModule: I discovered a way to get a significant speed-up in your web-apps. I wrote a blog post about it. Extending haxe.web.Dispatch (which itself required a pull request) to be subclassed, and allowing you to 1) execute the ‘dispatch’ and ‘executeAction’ steps separately and 2) allow returning a result, so that you can get the result of your dispatch methods. This works much nicer with Ufront’s event based processing, and allows for better unit testing / module integration etc. The next step is allowing dispatch to have asynchronous handlers (for Browser JS and Node JS). 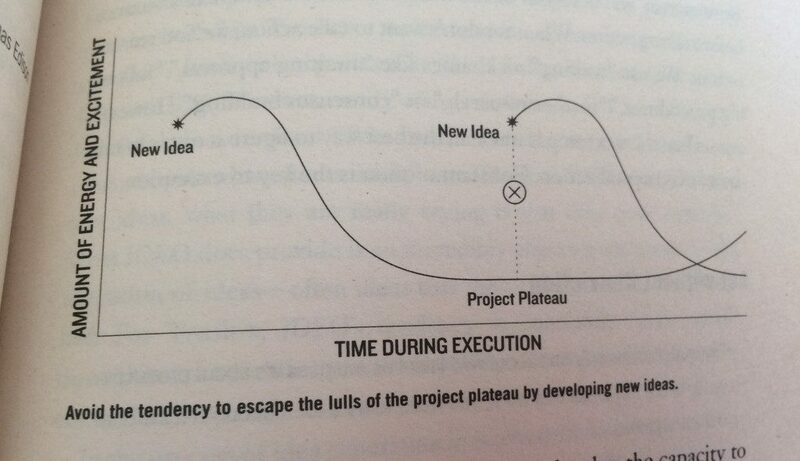 I began thinking through how to implement this also. After discovering neko.Web.cacheModule, I realised that it had many implications for Ufront. Basically: You can use static properties for anything that is generic to the whole application, but you cannot use it for anything specific to a request. This led to several things breaking – but also the opportunity for a much better (and very optimised) design. YesBoss: Sometimes you don’t want to worry about authentication. Ufront has the ability to create a “tasks.n” command line file, which runs tasks through a Command Line Interface, rather than over the web. When doing this, you kind of want to assume that if someone has access to run arbitrary shell commands, they’re allowed to do what they want with your app. So now that I have a generic interface for checking authentication, I created the “YesBossAuthHandler” – a simple class that can be used wherever an authentication system is needed, but any permission check it always lets you pass. You’re the boss, after all. Dependency Injection: A while ago, I was having trouble understanding the need for Dependency Injection. Ufront has now helped me see the need for it. In the first app I started making with the “new” ufront, I wanted to write unit tests. I needed to be able to jump to a piece of code – say, a method on a controller – and test it as if it was in a real request, but using a fake request. Dependency injection was the answer, and so in that project I started using Minject. This week, realising I had to stop using statics and singletons in things like sessions and auth handling, I needed a way to get hold of the right objects, and dependency injection was the answer. I’ve now added it as standard in Ufront. There is an `appInjector`, which defines things that should be injected everywhere (modules, controllers, APIs etc). For example, injecting app configuration or a caching module or an analytics API. Then there is the dispatchInjector, which is used to inject things into controllers, and the remotingInjector, which is used to inject things into APIs during remoting calls. You can define things you want to make available at your app entry point (or your unit test entry point, or your standalone task runner entry point), and they will be available when you need them. (As a side note, I now also have some great tools for mocking requests and HttpContexts using Mockatoo). Tracing: Ufront uses Trace Modules. By default it comes with two: TraceToBrowser and TraceToFile. Both are useful, but I hadn’t anticipated some problems with the way they were designed. In the ufront stack, modules exist at the HttpApplication level, not at the HttpRequest level. On PHP (or uncached neko), there is little difference. Once you introduce caching, or move to a platform like NodeJS – this becomes a dangerous assumption. Your traces could end up displaying on somebody else’s request. In light of this, I have implemented a way of keeping track of trace messages in the HttpContext. My idea was to then have the Controller and RemotingApiClass have a trace() method, which would use the HttpContext’s queue. Sadly, an instance `trace()` method currently does not override the global `haxe.Log.trace()`, so unless we can get that fixed (I’m chatting with Simon about it on IRC), it might be better to use a different name, like `uftrace()`. For now, I’ve also made a way for TraceToBrowser to try guess the current HttpContext, but if multiple requests are executing simultaneously this might break. I’m still not sure what the best solution is here. Error Handling: I tried to improve the error handling in HttpApplication. It was quite confusing and sometimes resulted in recursive calls through the error stack. I also tried to improve the visual appearance of the error page. More ideas: last night I had trouble getting to sleep. 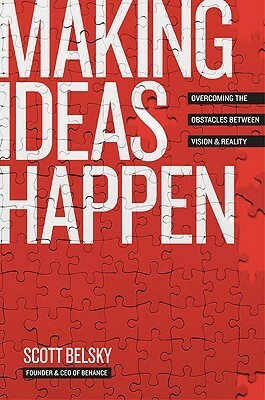 Too many ideas. I sent myself 6 emails (yes 6) all containing new ideas for Ufront. 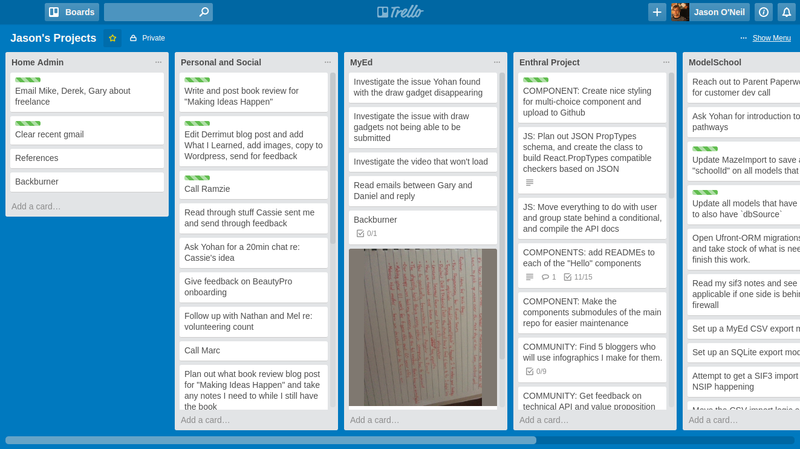 I’ll put them on the Ufront Trello Board soon to keep track of them. The ideas were about Templating (similar abstractions and interfaces I have here, as well as ways of optimising them using caching / macros), an analytics module, a request caching module and setting up EasyAuth to work not only for global permissions (CanAccessAdminArea), but also for item-specific permissions: do you have permission to edit this blog post? NodeJS / ClientJS: after using NodeJS earlier in the week, I had some email conversations with both Clement and Eric about using Ufront on NodeJS. After this week it’s becoming a lot more obvious how this would work, and I’m getting close. The main remaining task is to support asynchronous calls in these 3 things: Dispatch action execution calls, HttpRemotingConnection calls, and database calls – bringing some of the DB Macros magic to async connections. But it’s looking possibly now, where as it looked very difficult only 3 months ago. CompileTime: I added a simple CompileTime.interpolateFile() macro. It basically reads the contents of the file at macro time, and inserts it directly into the code, but it inserts it using String Interpolation, as if you had used single quotes. This means you can insert basic variables or function calls, and they will all go in. It’s like a super-quick and super-basic poor-man’s templating system. I’m already using it for Ufront’s default error page and default controller page. My Work Project: Over the last two weeks I’ve updated SMS (my School Management System project, the main app I’ve been working on) to use the new Ufront. This is the reason I’ve been finding so much that needs to be updated, especially trying to get my app to work with “ufront.Web.cacheModule”. Until now I haven’t had to worry much about the speed of sites made using Haxe / Ufront, – none of the sites or apps I’ve made have anywhere near the volume for it to be a problem, and the general performance was fast enough that no one asked questions. But I’m going to soon be a part of building the new Haxe website, which will have significant volume. So I ran some benchmarks using ab (Apache’s benchmarking tool), and wasn’t initially happy with the results. They were okay, but not significantly faster than your average PHP framework. Maybe I would have to look at mod_tora or NodeJS for deployment. Then I remembered something: a single line of code you can add that vastly increases the speed: neko.Web.cacheModule(main). First up: I assume mod_tora has advantages on sites that use more memory, but a dummy sample like this is more overhead than it’s worth. Second, and related: I know these tests are almost worthless, we really need to be testing a real app, with file access and template processing and database calls. the biggest speed up (in my case) seems to come from cacheModule(), not mod_tora. I believe once memory usage increases significantly, tora brings advantages in that arena, and so will be faster due to less garbage collection. the template system uses Xml, which I assume isn’t very fast. Ufront targeting Haxe/PHP is not very fast out-of-the-box. I’m sure you could optimise it, but it’s not there yet. This is running on my laptop, not a fast server. Then again, my laptop may be faster than a low end server, not sure. Set the main entry point function used to handle requests. Setting it back to null will disable code caching. By entry point, it is usually going to mean the main() function that is called when your code first runs. So when the docs ask for a function to use as the entry point, I just use main, meaning, the static function main() that I am currently in. I’m unsure of the impact of having multiple “.n” files or a different entry point. The cache is reset whenever the file timestamp changes: so when you re-compile, or when you load a new “.n” file in place. If you wanted to manually disable the cache for some reason, you use cacheModule(null). I’m not sure what the use case is for this though… why disable the cache? With caching disabled, both trace statements will print “0” every time. With caching enabled, the staticInt variable does not get reset – it initializes at 0, and then every single page load will continue to increment it, it will go up and up and up. Database connections: store them in a static variable and the connection will persist. App Config, especially if you’re passing JSON or Xml, put it in a static and it stays cached. Ufront has a class called NekoSession, which was entirely static methods and variables, and made assumptions that the statics would be reset between requests. Wrong! Having the session cached between different requests (by different users) was a disaster – everytime you click a link you would find yourself logged in as a different user. Needless to say we needed to refactor this and not use statics :) To approach it differently, you could use a static var sessions:StringMap<SessionID, SessionData> and actually have it work appropriately as long as the cache stayed alive. Avoid singletons like Server.currentUser, or even User.current – these static variables are most likely going to be cached between requests leading to unusual results.